The Rapidline Mobile Pedestal is a sturdy device that can operate in the toughest of environments. 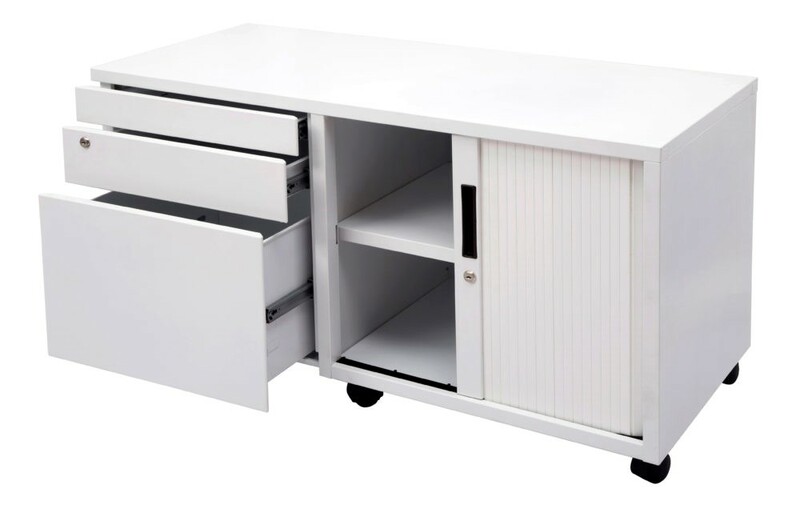 Find the pedestal that best suits your office environment with the choice of four different colours. 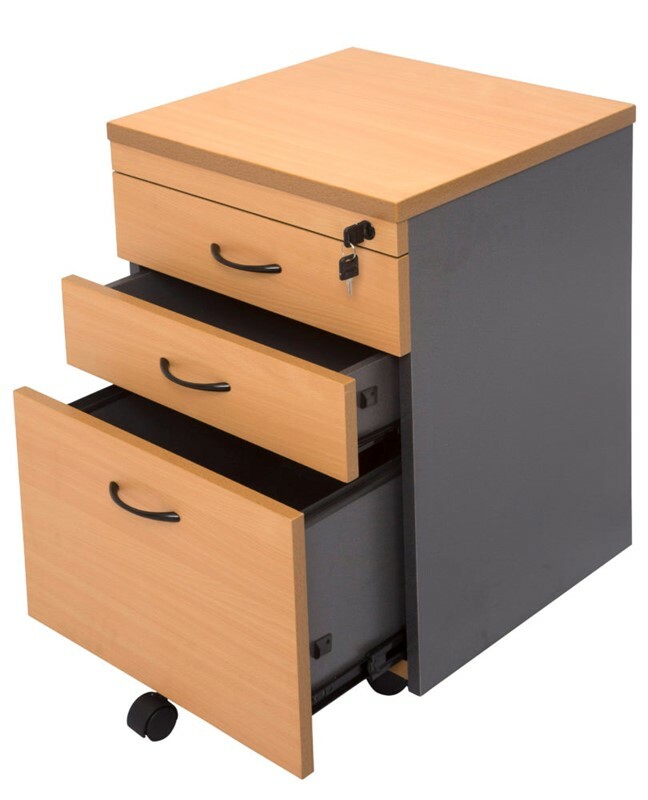 The Rapidline Mobile Pedestal is made using durable steel for heavy use. 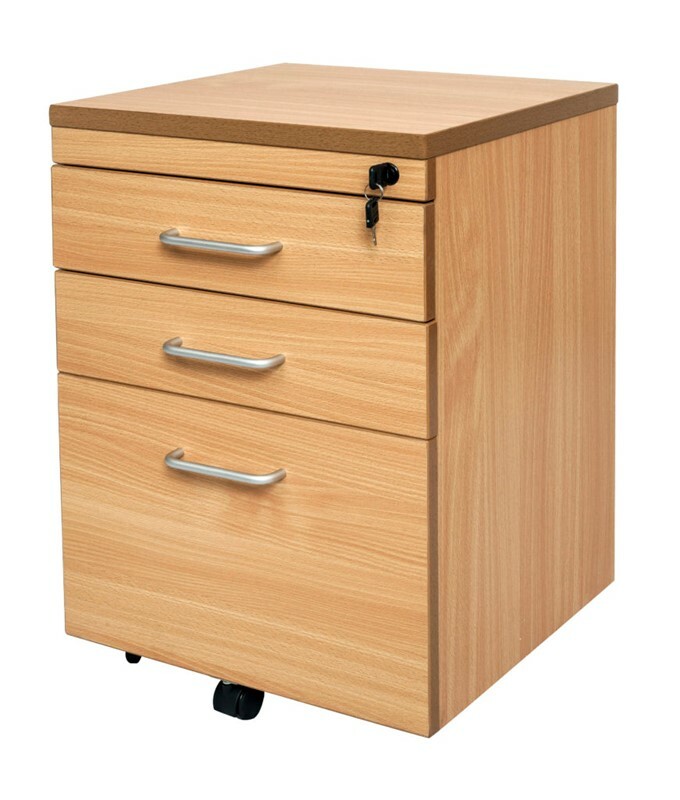 This unit can be secured under almost any standard desk - giving you more desk space and a safe place to secure any important documents. There is a fifth wheel attached at the front to provide increased stability for when the doors are open. All draws can be locked by the same key.